We are excited to announce our partnership with two super creative educators from Curriculum Corner! You can expect to see more blog posts containing free Common Core aligned lesson ideas, teacher resources and templates you can easily print with your VariQuest Perfecta 2400 or VariQuest Poster Maker - just be sure you have the latest VariQuest Software v4.0! Check out our first mini lesson on understanding and building character traits for primary classrooms! Graphic Organizer: All About the Character. Click on each image to download the PDF and print to a poster using your VariQuest Software v4.0! Choose a book that has fairly distinctive characters, perhaps one that has some very different types of characters. Good choices might be books by Kevin Henkes or Tommie de Paola. Print the above anchor chart and graphic organizor onto a poster to use as a visual guide on the wall. Also, print the graphic organizer onto 8.5" x 11" size paper to pass to each child for independent work. Set the purpose for the read aloud by introducing students to the anchor chart "Story Characters: Inside Out".  Discuss the difference between physical traits (what the character actually looks like) and character traits (what the character's personality portrays). Show and discuss the traits shown on the anchor chart, and then have students share more. Add the students' responses to the anchor chart if desired. Read aloud the story you chose for today's lesson. 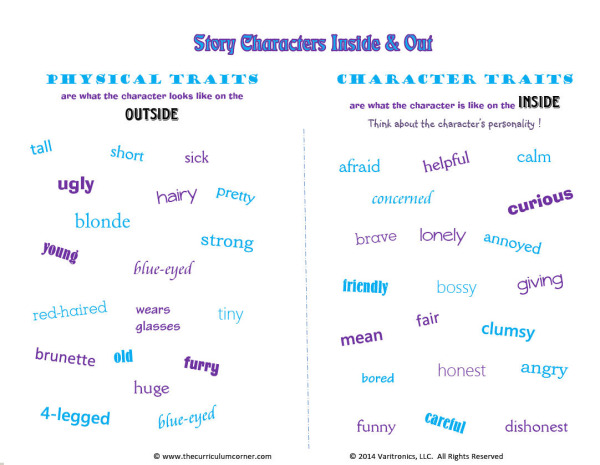 At the end have students brainstorm both physical traits and character traits for a character in the story. (You may choose to create a character map with the character's name in the middle, and then use two different colors of markers to distinguish between physical traits and character traits). 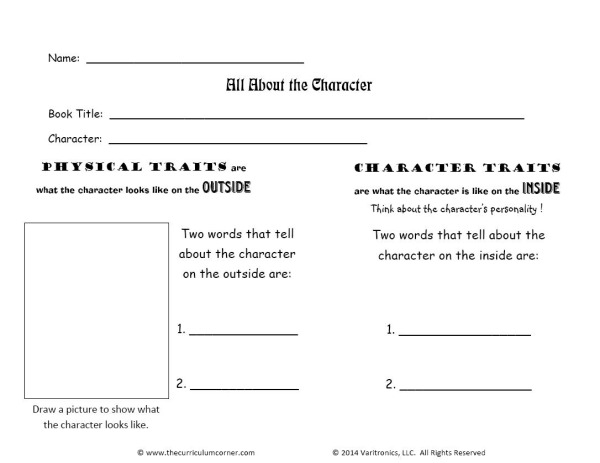 Explain directions for today's independent reading task: "All About the Character" graphic organizer. Did you like this mini-lesson? Leave a comment and let us know what topics you would like us to cover in future posts and we will work on delivering free resources to help you prepare for your lessons!